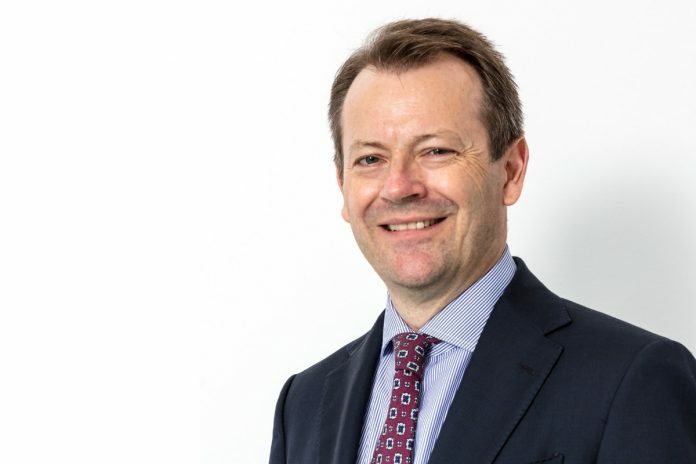 GlassPoint Solar has recently welcomed renewable energy expert, Steven Moss to the position of Chief Executive Officer (CEO). He will lead the company’s growth plans to diversify its project portfolio in new markets in the Middle East and North America and commercialise its next generation technologies. One of the fastest-growing solar companies in the world, GlassPoint’s solar technology delivers cost-efficient energy to power oilfield operations, which in turn significantly cuts greenhouse gas emissions. The company’s track record of exceeding its performance targets has made it the clear leader in deploying solar energy within the oil and gas industry. Steven Moss brings with him 30 years of experience in the energy and aerospace sectors. Prior to joining GlassPoint, he was the CEO at General Electric’s (GE) Renewables Plant Business, where he was instrumental in the delivery of geothermal, biomass and solar thermal plant solutions globally. Managing international operations from Muscat, Oman, Moss is overseeing GlassPoint’s expanding global business, including the landmark Miraah solar plant under development with Petroleum Development Oman (PDO) and the Belridge Solar project with Aera Energy in California, USA. With the oil and gas sector seeking lower costs to produce today’s energy with less impact on the environment, finding the right solutions has proven a serious challenge. GlassPoint takes the lead by demonstrating the reliability and cost-effectiveness of its solar thermal technology for oilfield applications. This involves using mirrors to concentrate the energy of the sun’s rays to boil water flowing through a network of pipes and generate high-pressure steam that can be used to pump oil out. The company’s innovative solar steam technology is being deployed successfully in Oman’s oil and gas industry. 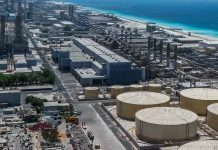 Expected to generate over one gigawatt of thermal energy, Miraah is built in partnership with Petroleum Development Oman (PDO), the Sultanate’s leading producer of oil and gas. 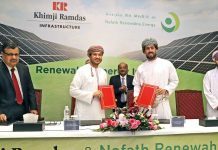 Fuelled by the national vision of a more sustainable hydrocarbons industry, the project is at the forefront of Oman’s expansion into renewable energy. GlassPoint’s technology replaces natural gas traditionally used to generate steam, which can instead be exported or directed toward higher-value applications such as power generation or industrial development, providing a major opportunity to diversity the local economy. The introduction of GlassPoint’s solar steam technology to Oman has been providing substantial contributions since 2012 when GlassPoint successfully completed a pilot project with PDO, gaining it international recognition. Over the years, Royal Dutch Shell and Oman’s State General Reserve Fund, the largest sovereign wealth fund in Oman, have invested in GlassPoint and backed its vision for solar powered oil production. In 2014, the company expanded to Kuwait and was awarded the Miraah contract the following year. Finishing 2017 strong, GlassPoint expanded its footprint in California, announcing plans to build the state’s largest solar energy project on the Belridge oilfield, while in Oman, Miraah began delivering steam to the Amal West oilfield. Moss plans to build on this momentum and lead GlassPoint’s technology, project deployment and manufacturing operations into its next stage of growth. 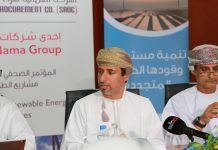 GlassPoint is also committed to the growth of local Omani talent in the renewable energy field. It recently launched its first corporate social responsibility initiative, the GlassPoint Innovation Spur. Developed after a series of workshops and stakeholder meetings throughout Oman, the concept of the programme was conceived around the principle of using resources efficiently and help drive innovation for a sustainable Oman. Adding the final touches, the organisation obtained further support from its partners- The Research Council, Innovation Park Muscat, Sharakah and the Public Authority for SME Development (Riyada), to make the GlassPoint Innovation Spur, fully-fledged. The programme fosters innovators to develop their concepts and transform them into sustainable, implementable enterprises through financial, business and technical support. Participants receive mentorship that gives them assistance to further develop their innovations with the aim to strengthen Oman’s role as a global hub for renewable technology and contribute to the nation’s diversification strategy. Moss added, “Our intention with the Innovation Spur is to promote the culture of innovation in Oman, by sharing the experience and knowledge that we have acquired throughout our entrepreneurial journey. GlassPoint believes in helping to build a sustainable and progressive Oman when it comes to the energy sector, which is why we want to help local start-ups achieve what we have achieved”. Innovation is also a key part of GlassPoint’s growth plans. The company has a robust programme focused on continuous innovation where it is exploring new materials, designs and manufacturing processes to maintain its leadership and continue to deliver the lowest cost solar energy.